This article is about the anti-Bolshevik army of 1918-1920. For the British Volunteer Army, see Volunteer Force (Great Britain). For the Chinese army in the Korean War, see People's Volunteer Army. For voluntary military service, see Volunteer military. The Volunteer Army (Russian: Добровольческая армия, Dobrovolcheskaya armiya) was a White Army active in South Russia during the Russian Civil War from 1917 to 1920. The Volunteer Army fought against Bolshevik forces in the Southern Front and the Ukrainian War of Independence. In 1919 it was made part of the Armed Forces of South Russia, becoming the largest force of the White movement until it was merged with the Army of Wrangel in March 1920. The Volunteer Army began forming in November/December 1917 under the leadership of General Mikhail Alekseyev and General Lavr Kornilov in Novocherkassk, shortly after the beginning of the Russian Civil War following the October Revolution. It organized to fight against the Bolsheviks in South Russia. 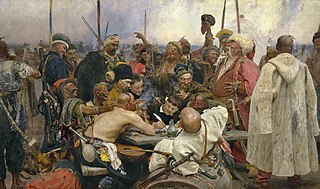 Alekseyev and Kornilov enlisted supporters, which initially included volunteering officers, cadets, students, and Cossacks. Of the first 3,000 recruits, only twelve were ordinary soldiers; the rest were officers, some of whom resented having to serve as privates. 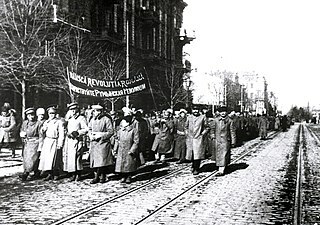 On December 27, 1917 (January 9, 1918), the creation of the Volunteer Army was officially announced, with Alekseyev becoming its overall leader, Kornilov as its Commander-in-chief, General Alexander Lukomsky as its Chief of Staff, General Anton Denikin commander of the 1st Division, and General Sergey Markov as commander of 1st Officers regiment. They also created the so-called "Special Council" at the headquarters, which included prominent civilian politicians such as Peter Struve, Pavel Milyukov, Mikhail Rodzianko, Sergey Sazonov and Boris Savinkov. In early January 1918, the Volunteer Army numbered approximately 4,000 men. It fought against the Red Army together with units of General Aleksei Kaledin's forces. In late February, the Volunteer Army had to retreat from Rostov-on-Don due to the advance of the Red Army, and left for Kuban in order to unite with the Kuban Cossack formations, a maneuver known as the Ice March. However, most of the Kuban Cossacks did not give their support to the Volunteer Army, and only a small unit (3,000 men) under the command of General Viktor Pokrovsky joined the Volunteer Army on March 26, 1918, increasing its number to 6,000 troops. The Volunteer Army's attempt to capture Yekaterinodar between April 9–13 was a disaster, with Kornilov being killed in battle when he was hit by an artillery shell. Denikin took over command of the remnants of the Volunteer Army and left for the remote stanitsas beyond the Don River region. In June 1918, 3,000 men under the command of Colonel Mikhail Drozdovsky joined the Volunteer Army, bringing its strength to between 8,000 to 9,000 men. On June 23, the Volunteer Army began its so-called Second Kuban Campaign, with support from General Pyotr Krasnov. By September 1918, the Volunteer Army was up to 30,000 to 35,000 men thanks to the mobilization of the Kuban Cossacks and "counterrevolutionary elements" gathered in the North Caucasus, taking the name of "Caucasus Volunteer Army". General Anton Denikin's Volunteer Army and regional armed forces after Armistice of Mudros. In the autumn of 1918, the governments of Great Britain, France and the United States increased their material and technical assistance to the Volunteer Army. 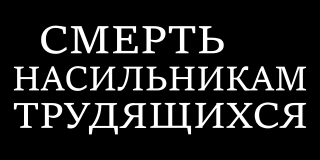 With the support from the Entente, the forces of the South Russian Whites were combined into the so-called Armed Forces of South Russia (Вооружённые силы Юга России, Vooruzhenniye sily Yuga Rossii) under the command of Denikin. In late 1918 to early 1919, Denikin defeated the 11th Soviet Army and captured the North Caucasus region. In January 1919, the Caucasus Volunteer Army was divided into the Caucasus Army and the Volunteer Army, which would later be joined by the Don Army, created from the remnants of Krasnov's Cossack Army. After capturing Donbass, Tsaritsyn, and Kharkov in June 1919, Denikin began to advance towards Moscow on June 20 (July 3). According to his plan, the main blow to Moscow was to be inflicted by the Volunteer Army (40,000 men) under the command of General Vladimir May-Mayevsky. The White Army was accused by the Bolsheviks of cruelty in its conquered territories, usually against the workers, and the Soviet historiography would dub this regime "Denikinschina". Some of the units and formations of the Volunteer Army possessed good military skills and fighting strength due to a large number of officers in its ranks, who hated and despised the Bolsheviks. However, the Volunteer Army's fighting efficiency started to decrease in the summer of 1919 in light of significant losses and conscription of mobilized peasants and even captured Red Army soldiers. During the Red Army's counteroffensive in October 1919, the Volunteer Army sustained a decisive defeat and rolled back to the south. In early 1920, it retreated to the areas beyond the Don region and was reduced to a corps of 5,000 men under the command of General Alexander Kutepov. On March 26 and March 27, 1920, the remnants of the Volunteer Army were evacuated from Novorossiysk to the Crimea, where they merged with the Army of Wrangel under General Pyotr Wrangel. The Volunteer Army has been criticized for its poor treatment of political prisoners and the prisoners' respective communities during the Russian Civil War. K.N. Sokolov, an anti-Bolshevik activist and Constitutional Democratic Party politician who advocated for the Russian government's movement toward a constitutional monarchy, lambasted this characteristic of the Volunteer Army. Sokolov wrote, "The uncontrollable robbery of the population by our military forces, the debauchery and repression by military officials in local areas, the unbelievable corruption of the representatives of power, their open speculation, venality, and, finally, their unrestrained arbitrariness prevailing in their counterintelligence organizations, here were the ulcers of our regime, compelling the population to say: no, this is not the regime that can save Russia." Edward M. Dune, a member of the Red Guards, the organization that eliminated the Constitutional Democratic Party power after the Russian Revolution in 1917, compared the Red Army's poor behavior to that of the Volunteer Army. For instance, in reference to the Kuban Cossacks rebellion, Dune explains, "Our actions … differed little from the behavior of the White Army during the war itself." From its inception until January 23, 1919, this formation was named the Volunteer Army. From January 23, 1919, until May 22, 1919, this formation was named the Caucasus Volunteer Army. Caucasus Army, disbanded on January 29, 1920 and replaced by the Kuban Army, the remnants of which surrendered on April 18–20, 1920. Volunteer Army, the remnants of which were evacuated March 26/27, 1920. ^ Orlando Figes, A People's Tragedy, page 560. ^ K. N. Sokolov, Pravlenie generala Denikina, Sofia, 1921. ^ Edward M. Dune, Notes of a Red Guard, University of Illinois Press, 1993. Viktor Leonidovich Pokrovsky was a Russian lieutenant general and one of the leaders of anti-communist counterrevolutionary White Army during Russian Civil War. Sochi conflict was a three-party border conflict which involved the counterrevolutionary White Russian forces, Bolshevik Red Army and the Democratic Republic of Georgia, each of which sought control over the Black Sea town of Sochi. The conflict was fought as a part of the Russian Civil War and lasted with varying success from July 1918 to May 1919, and ended through British mediation establishing the current official border between Russia and Georgia. Alexei Ivanovich Avtonomov (1890–1919) was a Russian Red military commander during the Russian Civil War. The Armed Forces of South Russia or AFSR were formed on 8 January 1919, it incorporated many of the smaller formations of the White Army in South of Russia, including the Volunteer Army . Besides that, the AFSR included the Don Army, the Crimean-Azov Army, the Forces of Northern Caucasus and the Turkestan Army. South Russia or South of Russia was a short-lived state that existed in Eastern Europe during the Southern Front of the Russian Civil War from 1919 to 1920.